The main objective of this tasting is to evaluate two white and two red wines from New Zealand. The presenters have selected a Sauvignon Blank and a Pinot Noir that are the emblematic varietal wines on NZ. However, we will also experience an oak-aged Chardonnay and a Syrah as examples of other varies extensively planted there. Experts say that the NZ wines combine the crispiness of the old world wines with the fruitiness of the new world ones. This is what we should expect. The Wine: Winemaker’s Notes Bright, focuses citrus aromatics of grapefruit and kaffir lime abound, supported by subtle tropical notes. A silky, concentrated palate reveals ripe, juicy stone fruit and lemongrass, supported by a subtle minerality. Its racy acidity leads towards mouthwatering, persistent finish, suggesting a Sauvignon Blanc with ageability. Following harvest, the free-run juice was cold settled for 48-96 hours before raking. Fermentation was primarily carried out in stanless steel with a mixture of cultured and wild yeasts. Approximately 10% of the juice was fermented at warmer temperature in old French oak barriques and large format oak vats. This Sauvignon Blanc was stringently blended, including only the strongest batches. Maturation takes place in French oak barrels for 18 months. The Winery: Established in 1985, Cloudy Bay was one of the first five winemakers to venture into Marlborough. At the time, it was almost an unimaginable place to set-up a vineyard. 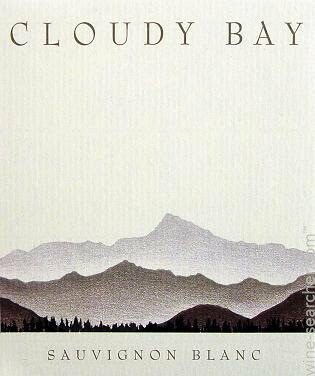 But Cloudy Bay’s founder – David Hohnen – was convinced of its potential to produce great wine and invested in the best land of the region. Since then, Marlborough has risen to become New Zealand’s leading wine region, as well as one of the finest winemaking locations in the world. CV Members Rating: 90 Pts. The Wine. Rich, full-bodied wine displaying ripe citrus with chalky textural yeast complexity enhanced by flavors of roasted nuts. Exhibits ripe citrus, minerality and toasty aromas together with savory overtones derived from extended contact with yeast lees. Eighteen months in French Oak barrels, a small portion of which is new. The Winery. 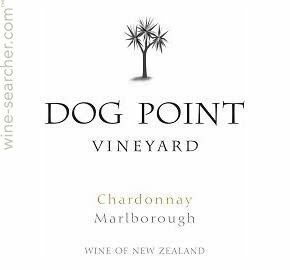 The name Dog Point dates from the earliest European settlement of Marlborough and the introduction of sheep to the district. “These were days of few fences, of boundary riders and boundary keeping dogs”. Shepherds’ dogs sometimes became lost or wandered off and eventually bred into a marauding pack which attacked local flocks. Their home was a tussock and scrub covered hill, overlooking the Wairau Plains, designated by the early settlers as Dog Point. 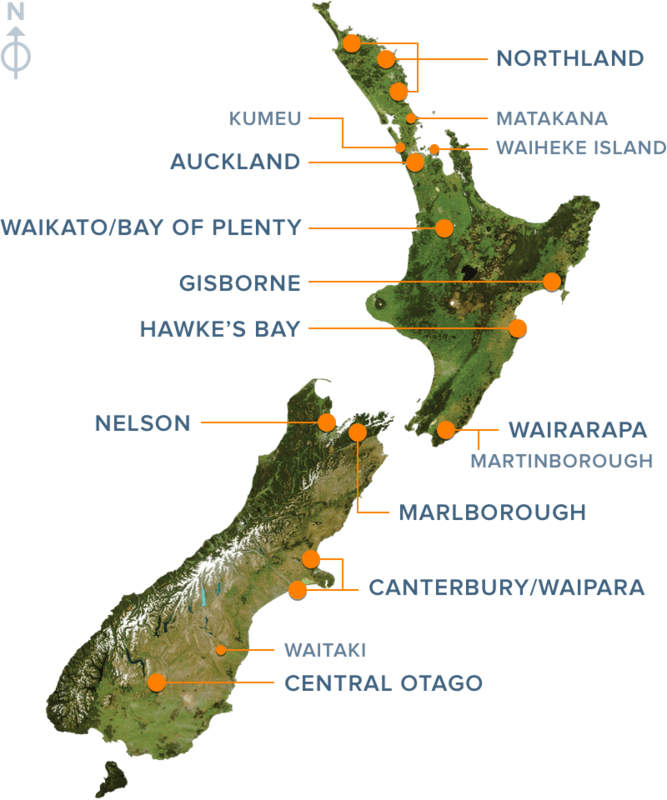 Marlborough’s Wairau Valley is the major grape growing region of New Zealand, a confined geographical area at the northern tip of the South Island. Abundant sunshine, low rainfall and cool autumn nights characterize our long growing season, enabling the slow evolution of a rich array of vibrant fruit flavor. The vineyard is centrally located at the confluence of the smaller Brancott and Omaka Valleys and is neighbour to the first commercially planted vineyard in Marlborough; planted by Montana in 1973. This location is widely considered to be a very desirable area for grape growing in Marlborough. Fruit for this wine is sourced from selected vineyard plantings dating back to the late 1970’s. These older well-established vines situated on free draining silty clay loams are supplemented with fruit from closely planted hillside vines on soils with a clay loam influence. Dog Point’s white wines are mostly planted on free draining silty clay loams on the flats, soils that predominantly express citrus and grapefruit flavors. Fruit from the hillside blocks add to the interest of the Chardonnay blend. CV Members Rating: 89 Pts. “Sourced from our steepest hillside vineyards, the Syrah for the Dreadnought was hand harvested, de-stemmed without crushing and fermented in small open top fermenters, plunged twice per day. Following an average of 3 weeks on skins the wines were gently pressed to oak barrels for Malolactic fermentation. Each parcel of fruit was kept separate in the winery until the final blending sessions after 15 months in oak. Aged in 15% new French, 5% new American and 80% old oak. 14% alc. The Winery: Considerable research by Stuart Elms (hence the Elm tree logo) in 1991 identified the north facing slopes at the end of Felton Road, Bannockburn as being one of the warmest and most ideal sites in Central Otago for the growing and production of premium wine. Heat summation data and soil maps of the area, developed as a result of the construction of the Clyde Dam, were helpful in this decision. The three different soils identified are free draining with low fertility characteristics, and combined with the unique climate, are ideal for the production of premium quality Pinot Noir, Chardonnay and Riesling. Since 2002 the vineyards have been managed organically and biodynamically. Pruning is carried out to leave desired bud numbers thus ensuring moderate controllable yields and to create an even, light penetrable canopy. Irrigation is usually necessary during the later dry summer months. Soil moisture levels are carefully monitored and water is applied only when necessary to maintain appropriate soil moisture levels. All grapes are carefully hand picked, keeping separate any quality differences within blocks due to clones, rootstocks and viticultural trials. CV Members Rating: 91 Pts. The Wine: Deep garnet. Unusual aroma – sweet fruit but very peppery too and a slight baked-fruit note as if there had been a lot of sun. Plenty of oak in evidence on the palate, over the rich fruit. A powerhouse of flavor, becoming more savory on the finish. Great power and length. The Winery: Established in the early 1980s, the Man O’War estate consists of 4500 acres of steep hillsides and rugged cliffs on Waiheke Island’s eastern coast. The name Man O’War comes from this region’s legacy as the site where Captain Cook first anchored in New Zealand in 1769 and observed that the tall trees growing there would make superb masts for the English Royal Navy. 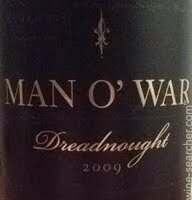 In keeping with the spirit of war and legacy, Man O’ War’s vineyards and wines are also named after significant battle figures or legends. Man O’War isn’t just a vineyard. It’s a series of 90 different pockets of vineyard, with these plots spread across the eastern end of the island. It’s owned by the Spencer family – one of New Zealand’s wealthiest – who own the entire eastern third of the island. That’s around 4500 acres (1821 hectares), of which 150 acres (60 ha) are planted with vines. The Spencer family have owned this chunk of the island for 30 years, and have been good stewards, returning a significant portion of it to native bush, and planting lots of native trees. The first vines were planted on the property in 1993, but the bulk of the vines went into the ground 2002–2006. As well as Waiheke Island, Man O’War also takes a few grapes from neighbouring (and much smaller, at 1500 acres) Ponui Island. 14 acres (4 vineyards) here are planted with vines, yielding 30 tons of Pinot Gris which are taken to the winery in Waiheke by barge. The Rev. Samuel Madsen, a missionary, was the first or one of the first that began to plant vines in the North Island of NZ in 1819. NZ has been eminently a beer country, wines were mostly imported from Australia and the few existing vineyards at the end of the 19th century and early 20th were severely affected by Phylloxera and Powdery Mildew. Isolation and distance from the foreign wine markets and low internal consumption were not conducive to the growth of the industry. During the second war there was an increase in demand for wine by American troops but the post-war depression and prohibition of alcohol laws again affected much the development of the wine business. For example, the sale of wine in supermarkets was allowed as late as in 1999. The result of all these ups and downs it is a young industry that struggled to establish itself as a serious actor until very recently. In 1958 the government decided to promote wine production and heavily taxed beer, banned the import of wine and began planting European varieties which resulted in a ruinous surplus production in the mid-80s and led many vineyard owners to start uprooting their vines. Subsequently, the lower production levels and the opening of tax free wines from Australia under commercial agreements force winemakers to start focusing on quality to remain competitive. Marlborough : The largest region in the Northwest corner of the South Island of NZ and where the first commercial vineyard (Montana Industries) was established in 1973. The soils are stony and well drained with mixtures of sand, clays and silts that give minerality to the wines. The predominant varieties are Sauvignon Blanc and Pinot Noir. The first was the one that gave NZ international reputation. There is a tradition of buy grape form the vineyards by weight which leads to much irrigation by the vineyard owners that dilutes concentration. Therefore, the best wines are those grown and produced in the same vineyard as the owner favors quality over quantity. Hawkes Bay : Is an area with many microclimates that favors the growing of the traditional varieties. Located in the North Island about 320 km north of Wellington. A warmer climate than the rest of the regions, favor the planting of Cabernet Sauvignon, Merlot, Syrah, Petit Verdot and Zinfandel (surprise!) 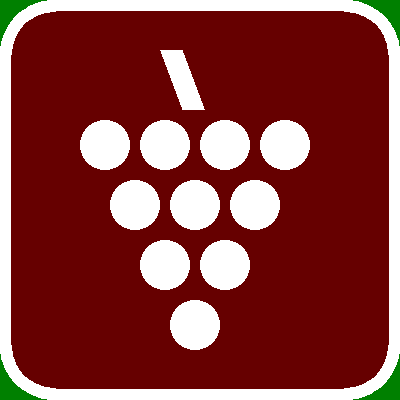 and the wines are generally Bordeaux type blends of these varieties. This differs from other regions dominated by Sauvignon Blanc and Pinot Noir. It also produces these varieties and Chardonnay but white wines are not the best. According to the Wine Spectator the best Cabs and Bordeaux-style blends from NZ are from this region. Central Otago : This is the world’s most southern of the world (parallel 45 South of the South Island) and the only one in NZ with a continental climate that provides strong variations in temperature between day and night. Unlike other regions wines are planted on slopes to improve sun exposure and reduce the risk of frost. It is almost entirely devoted to Pinot Noir and was this region which placed NZ at the international level of these quality wines with great tasting, fruit and aromas. 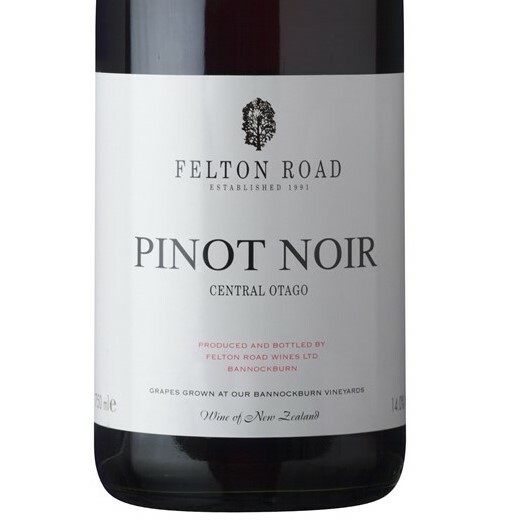 Produces the best Pinot Noir of NZ according to the Wine Spectator. This entry was posted in Meeting Abstract and tagged Chardonnay, New Zealand, Ponot Noir, Sauvignon Blank, Shiraz. Bookmark the permalink.